of bowling at Westy's Garden Lanes, 5504 Alworth Street, Boise. 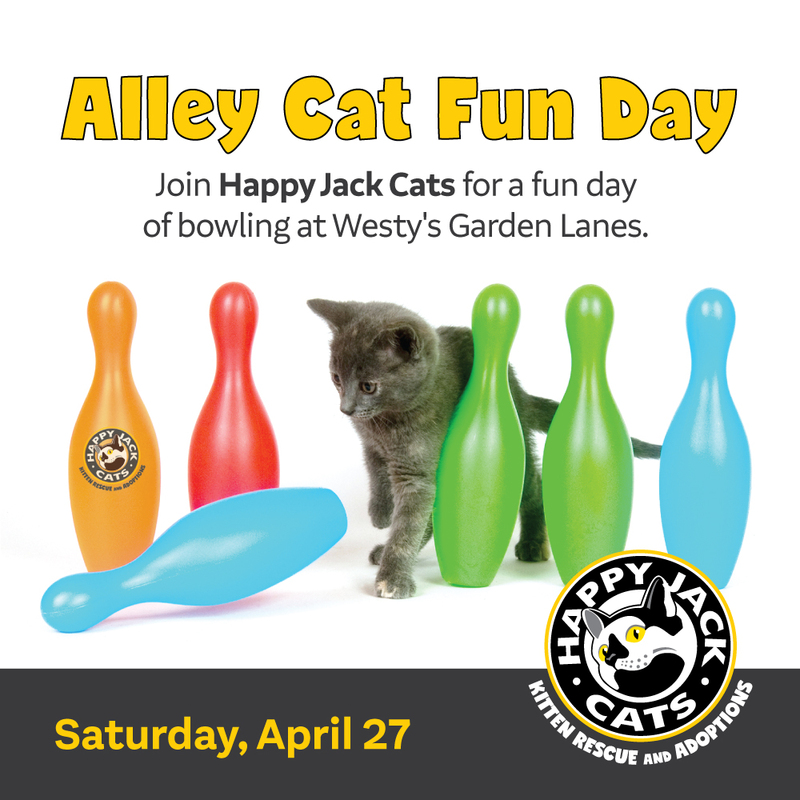 Includes 2 hours of bowling and a free shoe rental with your registration. Individual registration is $30 and teams of 4 are $100. We will have door prizes, drawings, and a 50/50 raffle throughout the event. Your must register by 5:00 pm on Saturday, April 20. Your participation in the event will help kittens and cats in the Treasure Valley in need of rescue and adoption. All proceeds from the event will go directly to fund life-saving rescue foster, and adoption programs.